CASAMIENTOS Y CUMPLEAÑOS DE 15: S.A.D.A.I.C + A.A.D.I. C.A.P.I.F. + CONTRATACION DE PERSONAL DE SEGURIDAD AUTORIZADO POR LEY, A SU CARGO. POR CUALQUIER REUNION EN LA QUE SE PASE MUSICA, SE DEBERAN ABONAR SADAIC (LEY 17.648) Y AADI CAPIF (DTO. REGLAMENTARIO 1670-1671). 1)	LOS AFILIADOS/AS TENDRÁN DERECHO AL ALQUILER DE LAS INSTALACIONES PRESENTANDO CARNET SINDICAL Y ULTIMO RECIBO DE SUELDO, DEBIENDO FORMALIZAR RESERVA EN LA RECEPCIÓN LOS DIAS LUNES, MARTES Y MIERCOLES, DE 15 A 19 HS. RECIBIENDO RESPUESTA EL DÍA JUEVES DE CADA SEMANA TRAS RESOLUCION DE COMISION DIRECTIVA. a)	DE LOS EVENTOS QUE TENGAN COSTO, SE DEBERÁ ABONAR EL 50% DEL VALOR DEL MISMO AL MOMENTO DE LA RESERVA. EL 50% RESTANTE SE CANCELARÁ HASTA 72 HS. 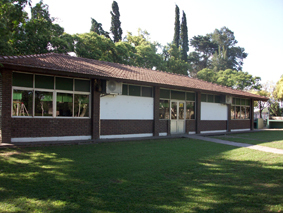 ANTERIOR AL USO DE LAS INSTALACIONES. b)	DE LOS EVENTOS SIN CARGO SE DEBERÁ DEJAR UNA SEÑA DE $ 100 QUE SE REINTEGRARÁ AL RETIRAR EL PERMISO CORRESPONDIENTE. AQUEL AFILIADO/A QUE HAGA UNA RESERVA Y NO UTILICE LAS INSTALACIONES DEBERÁ AVISAR CON UNA SEMANA DE ANTICIPACIÓN, CASO CONTRARIO NO SE LE REINTEGRARÁ EL IMPORTE DE LA SEÑA. 3)	EN LOS CASOS QUE CORRESPONDA, LOS RECIBOS DE SADAIC, AADI CAPIF, DEBERÁN SER PRESENTADOS EN EL LOCAL DEL SINDICATO, PUEYRREDÓN 368, EN EL HORARIO DE 15 A 19 HS. LOS DÍAS LUNES, MARTES Y MIÉRCOLES ANTERIORES AL USO DEL SALÓN. CASO CONTARIO NO SE ENTREGARÁ LA AUTORIZACIÓN CORRESPONDIENTE SIN EXCEPCIÓN. 4)	DE AQUELLOS ACTOS DE INDISCIPLINA QUE OCASIONEN DAÑOS PARCIALES O TOTALES EN TODO EL PREDIO, SERÁ RESPONSABLE DIRECTO QUIEN LO HAYA ALQUILADO, Y SE HARÁ CARGO DE LOS ARREGLOS Y REPARACIONES CORRESPONDIENTES. 5)	EN CASO DE QUE EL AFILIADO/A SOLICITANTE NO MANIFESTARE CON EXACTITUD EL MOTIVO DE LA REUNIÓN Y FALTARE A LA VERDAD, DEBERÁ ABONAR EL ALQUILER COMO INVITADO, RESERVÁNDOSE LA COMISIÓN DIRECTIVA EL DERECHO DE ADMISIÓN PARA UN PRÓXIMO EVENTO QUE ÉSTE SOLICITARE.